Hiring SRA Home Products to install one of TEMO’s innovative screen rooms is an easy and cost-effective way to add on extra living space and increase the value of your Newark, Delaware, home. Our screen rooms are constructed using solid thermal roofs that help to defect the sun’s heat, thereby ensuring that you’ll be able to relax and stay cool in your new addition even on the hottest of days. They also feature lightweight vinyl sashes that can block up to 99 percent of damaging UV rays. Style — TEMO manufactures its screen rooms in various styles, so you’ll be able to choose one to match your preferences and the architectural design of your home. Color — Our screen rooms come in two colors: white and sandstone. Sliders — You have the option of installing either large horizontal sliders, or three to four lightweight vertical sliders. 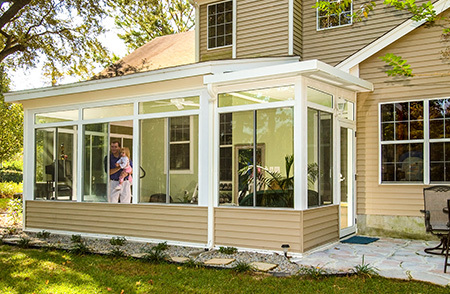 Plus, if you ever desire to upgrade your screen room to a sun room, you can easily do so by asking SRA to install TEMO’s HPG 2000 glass windows at a future date. 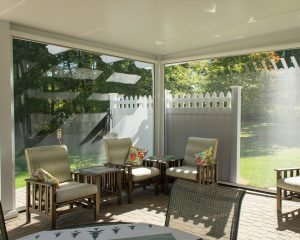 You can feel confident when you choose to have SRA Home Products install a TEMO screen room at your Newark, DE, home. We’ve been family-owned-and-operated since 1988, and we still remain dedicated to providing our customers with quality craftsmanship and exceptional service. Our employees are factory-trained and certified, and our average employee has worked with us for at least 15 years. 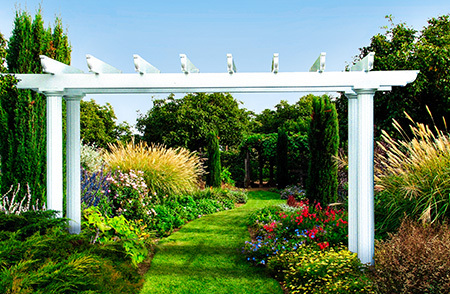 When we install a TEMO screen room in your backyard, you’ll receive the protection of TEMO’s limited lifetime transferable warranty, which you can transfer to a new owner should you ever decide to sell your home. If you’re interested in adding one of TEMO’s screen rooms to your Newark, DE, home, please call us today so that one of our experienced staff members can begin the design process with you.